more outfit post on my haul. The wide sleeves on this dress are so glam and I love the little piece of gold on the neckline. I’ve really gone to town on this outfit and dressed it up but you could of course wear it with flats for something a little simpler. How do you feel about the 70’s trend? Love it or loathe it? Thank you to Helen from Positive Fridays for taking the outfit pictures for me! SHOW Beauty is the brainchild of Tamara Ecclestone. A luxury haircare line that is glamorous and opulent, it was launched in 2013 and I've been dying to try out the products ever since. 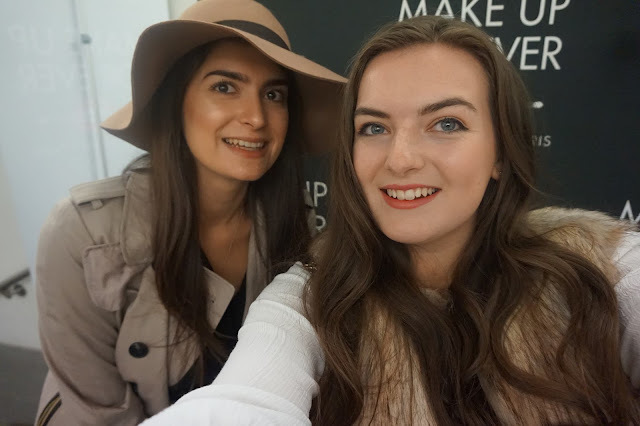 Luckily for me, I was given the opportunity to get a SHOW Dry when the girls from SHOW came to launch the product collection in Selfridges Birmingham. A team of gorgeous girls were waiting for me when I arrived on Selfridges Level 3 Beauty Hall. I sat down with Laurianne Dufay for a SHOW Dry and within second she had sectioned my hair and was teasing my locks into the biggest, bounciest curls I have ever seen. Making the whole process look effortless, Laurianne used three products on my hair. Firstly, she ran the Pure Treatment Oil all over my hair and into the ends to moisturise my locks. Next, she used the Thermal Protect to protect my hair before blasting my hair with a hairdryer and teasing the curls in using a round barrel brush. Lastly, the Finishing Spray was applied all over for gloss and to set the style without leaving it crisp. All the products in the line smell sensational. This is because each product contains a fine fragrance with top notes of Lush Rose Water and Rosewood combined with middle notes of Caramel and Almond Butter and base notes of Vanilla, Tonka Bean and Patchouli. Every product comes in packaging that is well worth showing off. In sleek black bottles and crystal cut glass lids, the products are too beautiful to put away and accented in fashionable rose gold. The products themselves? I was impressed. The oil was nourishing and light with no oily residue whilst the finishing spray was effective but left no crispy texture. It also held my look enough for my hair to still look bouncy 12 hours later. Every product can be layered leaving no residue, no flaking and no white marks. They are also paraben and sulphate free and offer UVA and UVB protection. Not just a pretty bottle. With a blow dry this good, it would be criminal not to show it off, so I made sure to head out after a full days work for a few mocktails. SHOW is stocked in exclusive retailers including Selfridges, Harvey Nichols, Fenwick, House of Fraser and on Net-a-Porter. Sadly, the blow dry bar was a temporary addition to Selfridges but you can find your nearest blow dry bar using the SHOW Dry app. Although there are no locations in Birmingham yet, the products are available in Birmingham priced between £30 and £55 and you could always head to London if you're out in the big smoke. Before and After using Irresistible Me hair extensions - unretouched! Can you believe I am one of the few people to have never actually used hair extensions until now? Hair extensions were once a celeb secret, but thanks to easy to use products such as clip in extensions, it's easy to recreate the look at home. 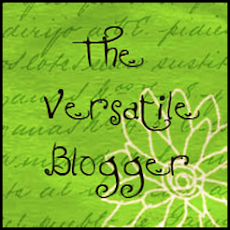 Although I had considered using extensions before, I'd never taken the plunge until Irresistible Me offered me the opportunity to try out their product. At first, I had to select the right shade for my hair and the right length too. After watching their tutorials (you can watch their helpful videos here) I selected the Royal Remy in Chocolate Brown 18inch extensions in 200g which retail at $279 (the 140g version is slightly less at $219). Many people think that hair extensions are for length only, but that's far from the case! Hair extensions can also be used to add volume to hair and this is exactly what I was looking for as I have quite long hair anyway. Irresistible Me call Royal Remy their premium line of clip in extensions. It's made with 100% human remy hair and they use a special treatment to add extra silkiness and durability. The product arrived super fast by FedEx and came in a very stylish black cardboard box. Inside the box, the hair is hygienically sealed into foil. One side is a sample piece for you to colour match against your hair, the other side includes the full set of hair. Both sides are sealed and it's worth mentioning that you can open the sample side, check for length and colour, and if you need a different set return the set as long as the main section hasn't been opened. The length is the same length as my natural hair and the colour is a fantastic match for my natural hair colour too. The hair wefts have already been sewn together along with the clips so there is no hard work required! I've heard from some friends that you can buy extensions that need to be sewn before use but thankfully Irresistible Me does the hard work for you. I also received three extra clips as spares. The hair quality was really good and the hair was lovely and silky smooth. Before I started sectioning off my hair, I firstly laid out all the pieces in front of me in order. This really helps keep you organised! Now, brush through your own hair, pick out a 3-clip weft and brush through. Starting from the bottom of your head, section off the main section of your hair at the back of your head leaving just a small, thin section at the base of your neck. Clip in the 3-clip at the top of this section close to your head, middle clip first, then the left and right clips next. Separate another thin section of hair above the clipped in piece and repeat with a 3-clip. Now for the 4 clip. This is the biggest piece of hair and goes in about halfway across the head just above the ears. Section as before, and clip in. Onto the sides of the head. Start sectioning thin sections at the side of the head, this is where to place the 2 clip wefts, with the 1 clips wefts going above them, above the ear (just remember, 2, 1). With the clips in, the result was full and natural looking hair that blended in with my own tresses. I've left them natural but you can style, wash and condition the hair as normal. What do you guys think? Do you use hair extensions? Style Birmingham is top of the list for every girl worth her fashion salt in these parts. Heck, fashion fabulous girls and boys flock from far and wide to attend the event and it was sorely missed last year. This year, however, Style Birmingham is back and I have all the details for you. In case you didn't already know, Style Birmingham is a weekend of fashion, shopping and beauty hosted in the city centre. One of the highlights is the fashion show where gorgeous boys and girls strut their stuff and show us what we'll all be wearing this season. 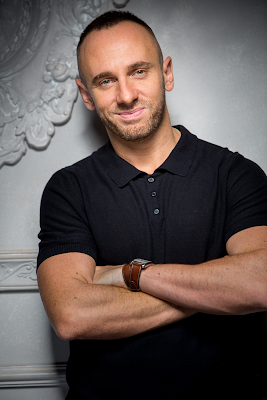 First of all, Mark Wright of TOWIE fame will be presenting the event with support from celebrity stylist Mark Heyes, best known for his regular slots on morning TV, who will be handing out fashion tips. Tickets this year are all the same so everyone is a VIP! That means everyone will get a complimentary goody bag, drink, instore offers for Style visitors and access to the Backstage Beauty area too. The venue this year is Birmingham Museum's Gas Hall. A beautiful building, this is where the Style Birmingham Preview was held and I went along with Rachel from to check it out. The preview event was an opportunity to meet some of the sponsors and get all the details on this year's show. 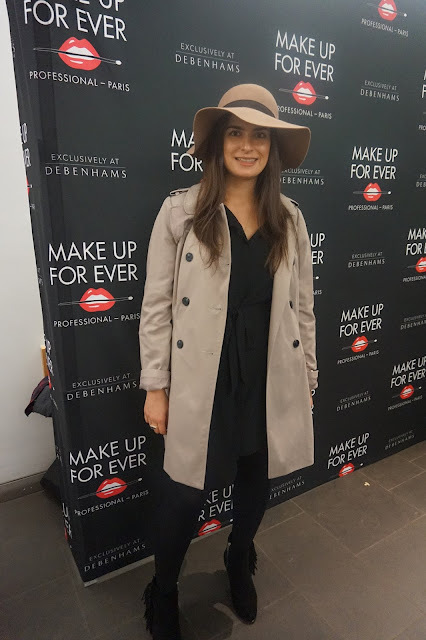 There were makeovers from Make Up For Ever and hair demos from Francesco Group as well as a tour of the Gas Hall which will be transformed into The Fashion Theatre showcasing AW15 styles and collections from high street retailers. The shows will be hosted by Mark Wright (here's hoping Michelle makes an appearance!) and Mark Heyes will be on hand for fashion advice. There are six shows at the weekend (11am, 1pm and 3pm each day) and they are always spectacular. Nails Inc, Bobbi Brown, House of Fraser, Marks & Spencer, and retailers from Bullring including Cos, Radley, Warehouse, Coast, Reiss, Karen Millen, New Look, Jones Bootmaker, Debenhams and Lipsy are all getting involved too. 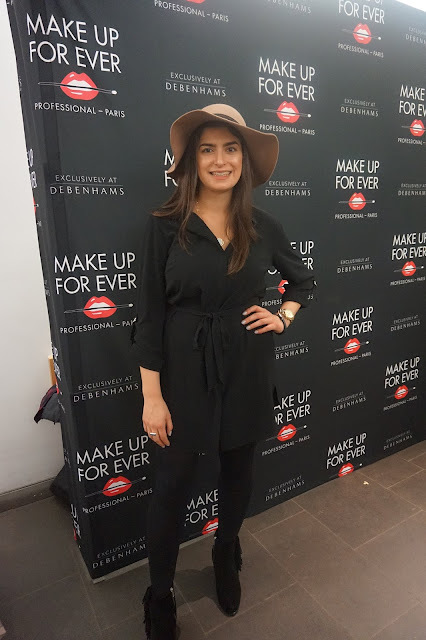 For all you beauty fanatics out there, there are also make up masterclasses taking place at House of Fraser hosted by Pro Artist, Amy Conway, who trained with Bobbi herself, at 12.15pm, 2.15pm and 4.15pm on both days. Tickets cost £15 and are available from www.stylebirminghamlive.co.uk. Are you going? The Botanist Birmingham opened it's doors in April this year, following a £1.2m refurbishment of its Temple Street location. Well known to anyone in the Leeds, Manchester or Newcastle areas, we Brummies had to wait a little while to get The Botanist experience. With an interior that brings the outdoors in thanks to wrought iron features, a potting shed feel and plenty of wooden features and a botanical inspired cocktail menu, the venue has been a popular choice for food and drinks since opening its doors. I was lucky enough to attend a cocktail masterclass and went behind the bar for the first time ever! Taking a pew at the end of the bar, we were greeted with a welcome cocktail (a passionfruit mojito for me!) before settling in on our stools. Jacob introduced himself as our teacher for the evening and we paired up for the cocktail challenge. Emma from BrummyMummyof2 and her friend Rachel, Helen from Positive Fridays and Ed made another and myself and Ahmed from DineBirmingham completed the teams! Jacob demonstrated the correct way to make each cocktail first before each team took it in turns to make three cocktails, an English Mojito, Rose Mai Tai and Cherry Blossom, with Jacob declaring the winner out of each team as we went along (pretty sure it was a tie between myself and Ahmed!) Along the way we got to learn a little about the techniques we were using such as the gin pour and drop pour. My favourites were the English Mojito, which tasted like a traditional mojito and a gin and tonic and the stunning Rose Mai Tai, a very sweet and photogenic rose flavoured drink. Jacob also made a final drink for us to try, the signature Botanist cocktail made of vodka, rum, elderflower liqueur, red amaranth, jasmine syrup, lime juice ane lemonade. I can safely speak for us all when I say that the whole experience was heaps of fun! Working in teams, competing to win the crown for best cocktail and of course trying out our creations and comparing cocktails all made for a fun evening that would be great for friends, workmates or even for hen-dos! Cocktail Masterclasses are available from £25 per person, for more information click here. The Jekyll and Hyde is one of Birmingham's gems, a Victorian themed pub downstairs with an even more wonderous Gin Parlour upstairs. Mysterious. Whilst downstairs at The Jekyll and Hyde is inspired by Mr Hyde, upstairs is Dr Jekyll's gin parlour. Head up the stairs for a carcophony of collections and wonderous artefacts in the Gin Parlour. And why have I been to the Gin Parlour lately? For Gin Tasting. Vicky from Brumderland and the team at Bitters n Twisted, the guys behind some of Birmingham's most loved venues such as The Victoria, Island and Rose Villa Tavern are hosting a series of events themed around the seven deadly sins, and this sin right here was Greed. With over 90 different types of gin, a gin inspired menu and gin flights on offer, I was lucky enough to try out the gins, experience a Gin masterclass and also dine on gin infused fare. First off, we sat down to share Madam Genever's Bathwater. A pretty drink served in a very Victorian mini bath, this is one way to get to know your neighbours! No glasses allowed, we dipped our mini trunkards into the bathwater and supped away. Onto the food, we were treated to dishes from the Gin and Food menu, namely the Red Snapper (£14.50) and Wild Mushroom Risotto (£11.50). Not your thing? Don't worry, the menu changes every month in keeping with what's seasonal. As you can see, the presentation of these dishes was fantastic. From ribbons of carrot and cabbage to shavings of parmesan, the presentation and overall balance of each dish was grown up and precise. The fun didn't stop there! We also got to experience a full on whirlwind lesson in gin presented by Simon attired in waistcoat and mad hatters hat. I wouldn't want to spoil the surprise for any of you who are already booked onto a class, but it started off at Genever, a precursor to gin and went right through the history of gin in England, how it was made and even included some fun tales! We also tried the Tom Collins (pictured), a gin and lemon mixture from the 1800's as well as the Gimlet, a drink created for the Navy and made with Lime Cordial and gin. There was even a chance to win prizes along the way in the pop quiz! Needless to say, my knowledge is below par so I think I should get back down for a masterclass soon! The Gin Infused menu is served upstairs in the Gin Parlour from Thursday-Saturday 5.30-9.30pm. Further details on the masterclasses and dining upstairs are available here.